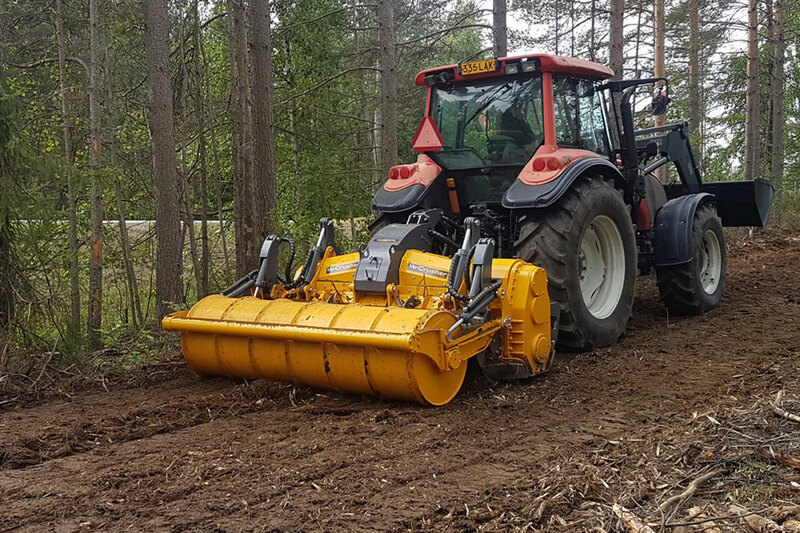 Designed for medium and large tractors up to 700hp, the MeriCrusher MJH mulcher is engineered for heavy duty forestry and land clearing where Effectiveness and Durability are paramount. 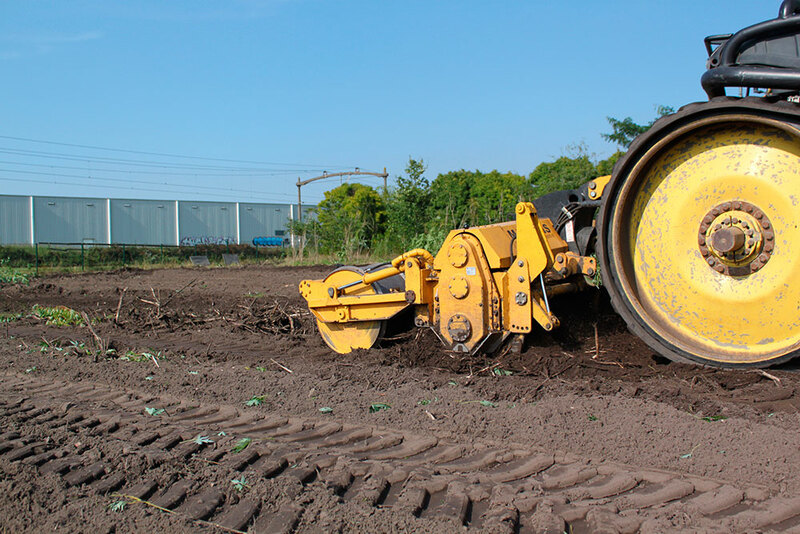 With a subsoil working depth of 12"(300mm), MJH/G series are equipped with dual G series gear transmissions, while MJH/X series feature single or dual X-series gear transmission. 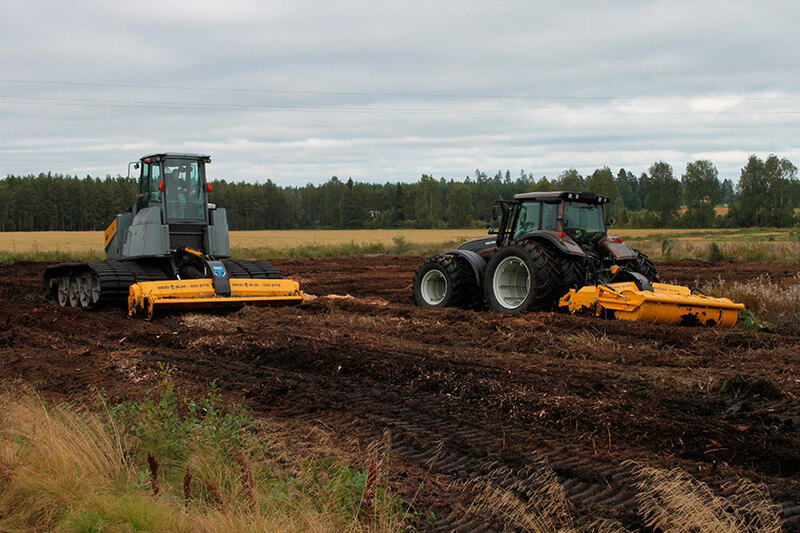 Modular design and engineering allow for optimal selection of components for efficient operation, and future upgrades. 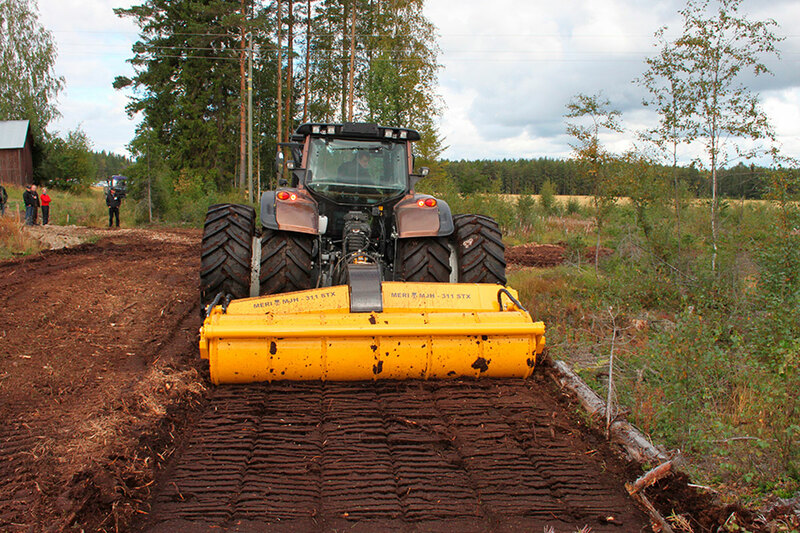 MeriCrusher MJH/G mulcher attachments are designed for demanding projects and professionals. 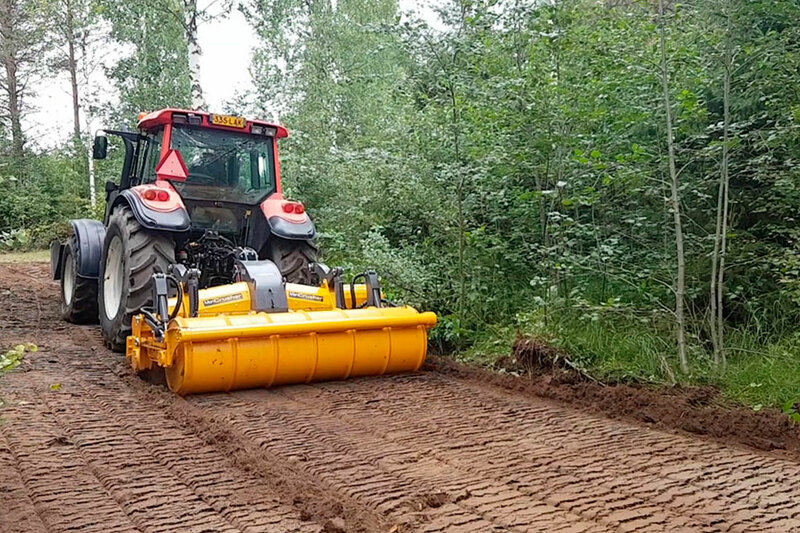 Ideal for medium and high power tractors to 400hp, and working in conditions where Reliability and Durability are paramount, the MeriCrusher MJH/G series is your first choice. 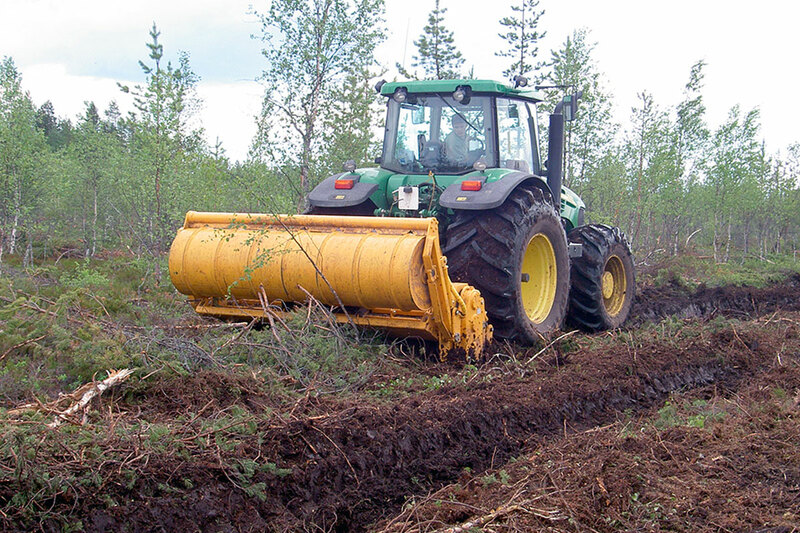 Power is transmitted to the rotor through Patented Suokone POC safety clutches and dual G-series gear transmissions. 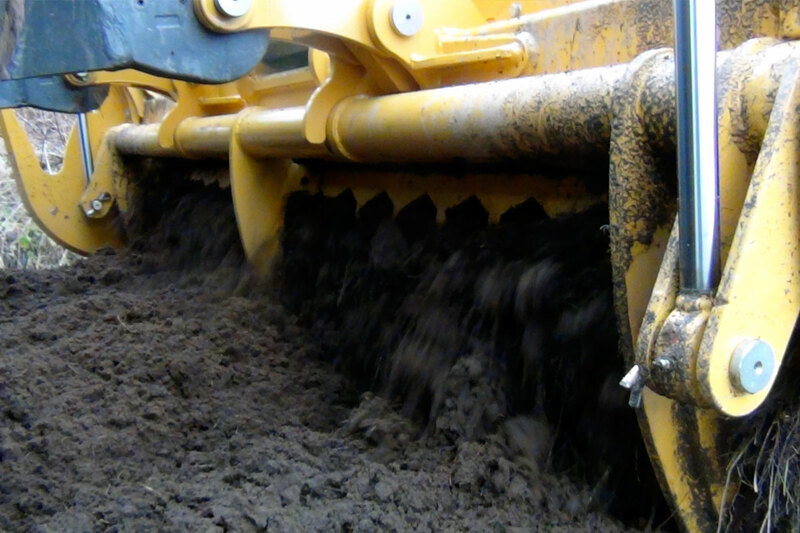 Available with several rotor options, the MJH/G gives excellent subsoil crushing results. 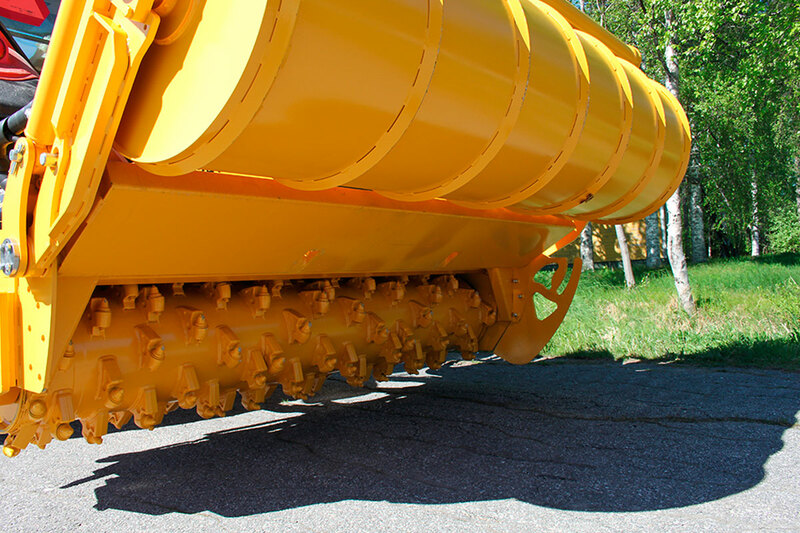 Modular design and engineering allows for optimal selection of components for efficient operation, and future upgrades. 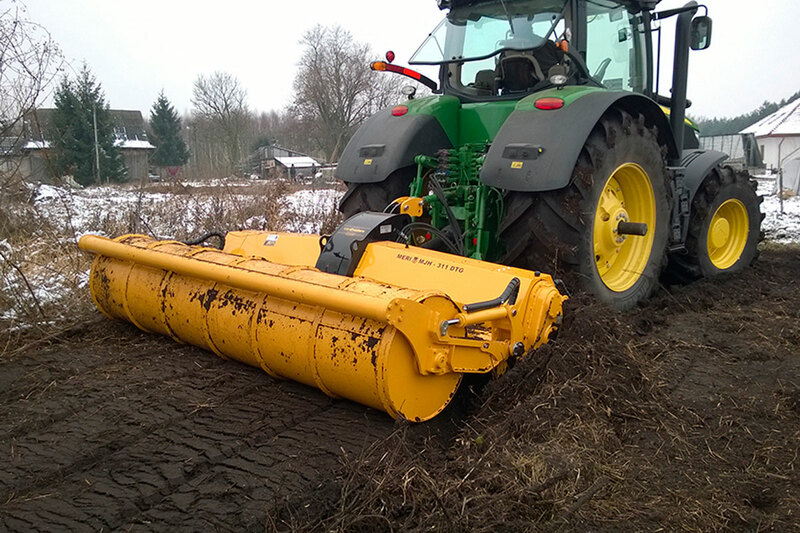 The MJH/G mulcher can be equipped with a hatch type sizing screen. 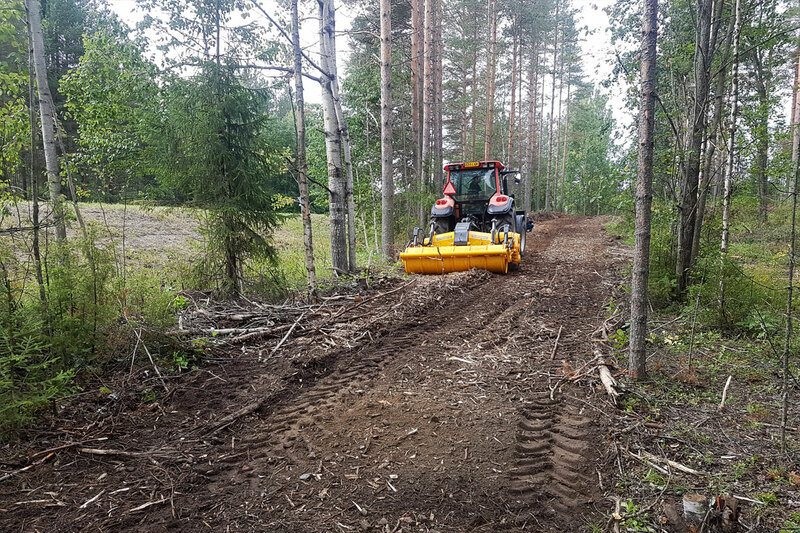 STB rotor with Cost Effective conical carbide cutters for heavy soil and dense vegetation. UNT rotor with Cost Effective conical carbide cutters and extra durable, forged cutter holders for extreme and abrasive conditions. 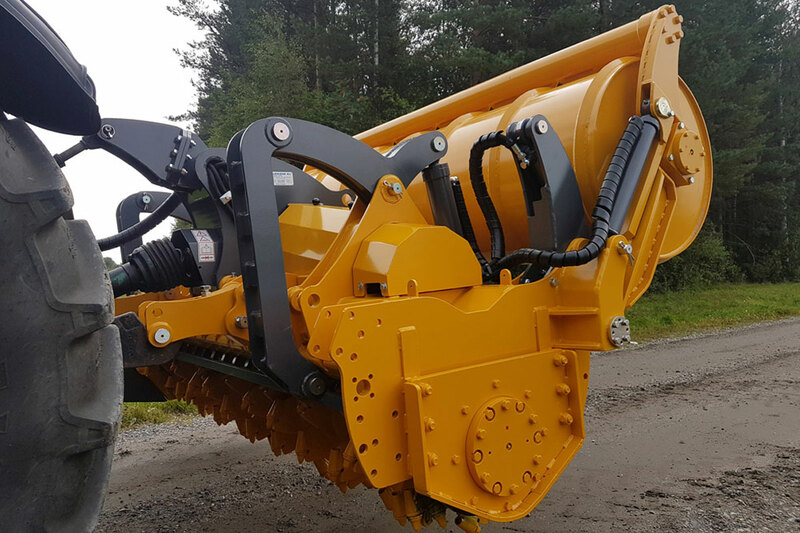 Rotor diameter 600mm / 24"
Working depth 300mm / 12"
MeriCrusher MJH/X mulcher attachments are engineered for the most demanding of professionals. 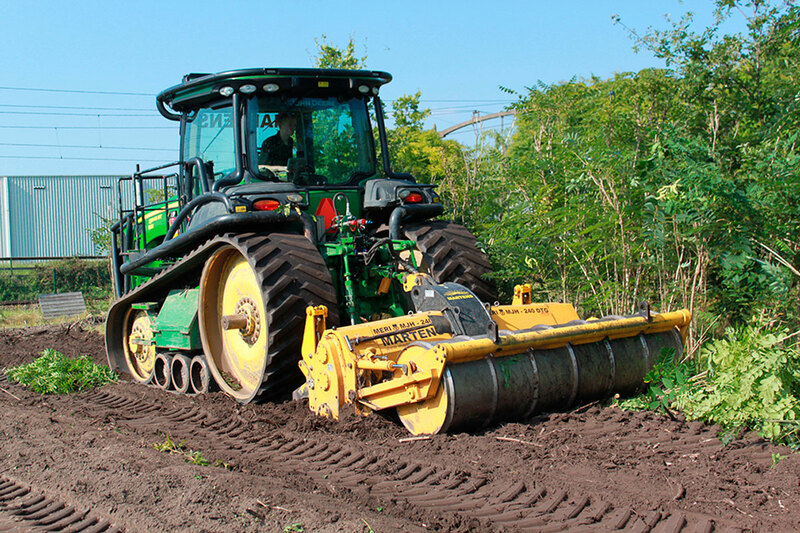 Designed for medium and large tractors, with multiple gear transmission options. 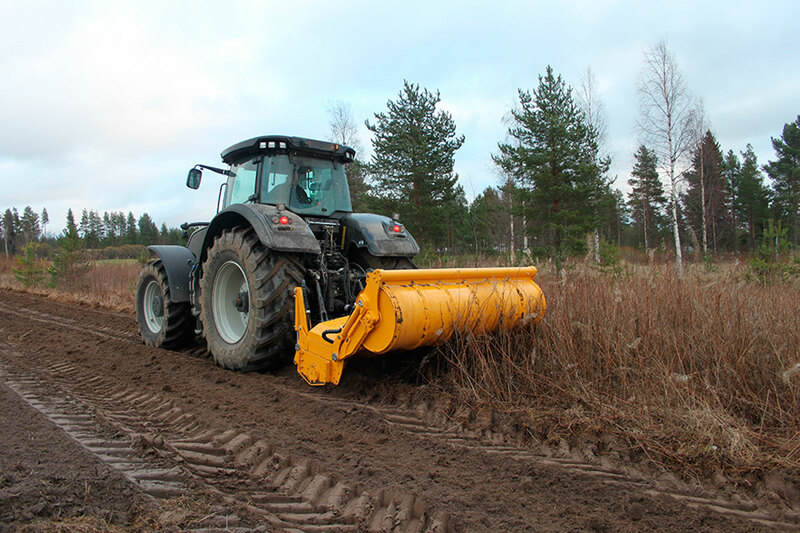 Up to 400hp is allowed with X-series gear transmission, and 700hp with dual X-series gear transmission. 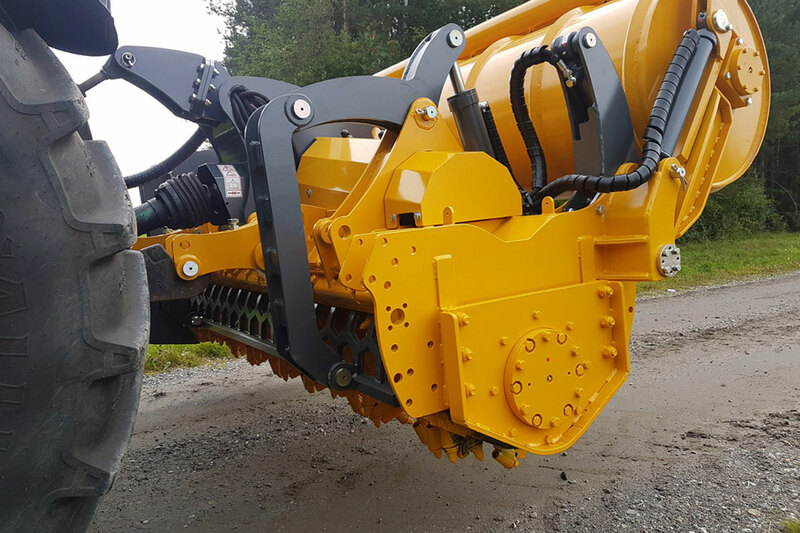 Patented Suokone POC safety clutch protects driveline and rotor components, while allowing full power transfer. 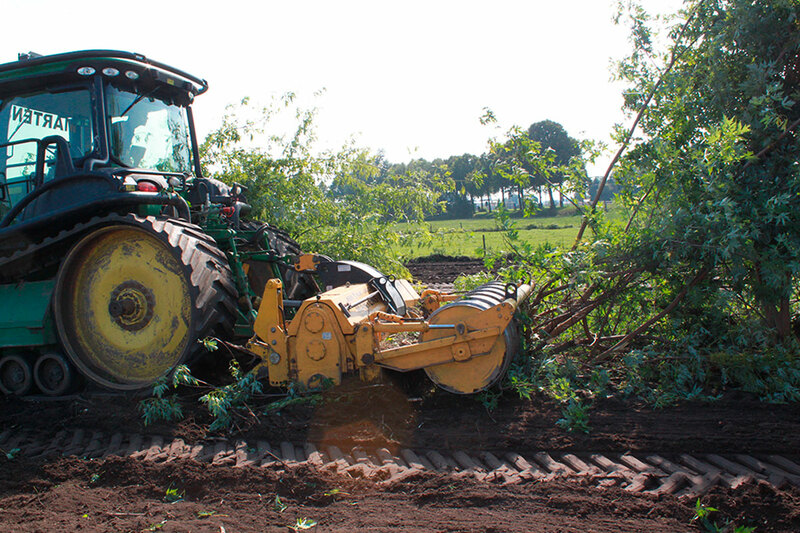 Several rotor options are available to best suit your conditions. The MJH/X can be equipped with a hatch type sizing screen. 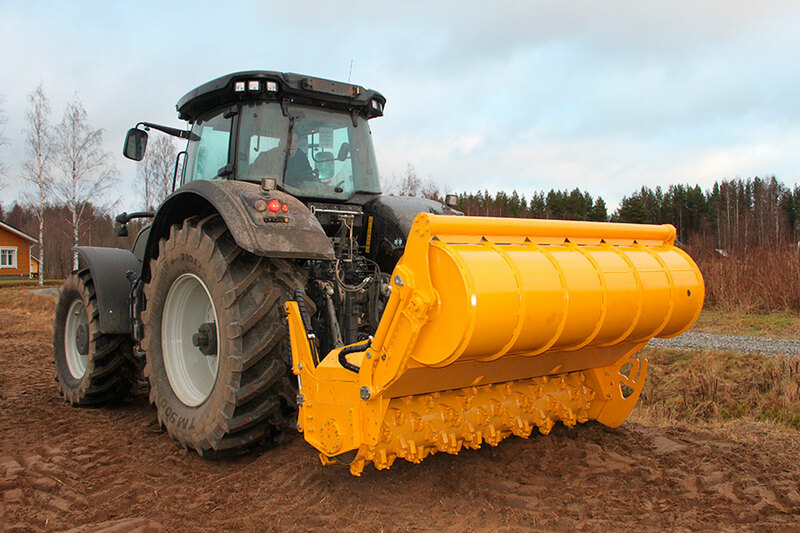 MeriCrusher MJHS mulcher is ideal for medium and large tractors to 400hp, with the latest crushing technology, MeriCrusher MJHS ROTO-SCREEN series mulchers are engineered for the most demanding of professionals, and projects. 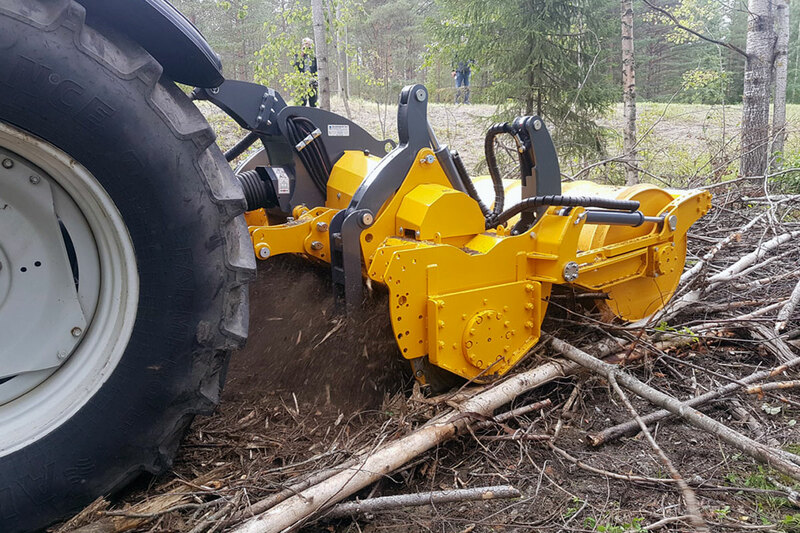 Driven through X-series gear transmission, and always protected by the Patented Suokone POC safety clutch, full power transfer is assured. 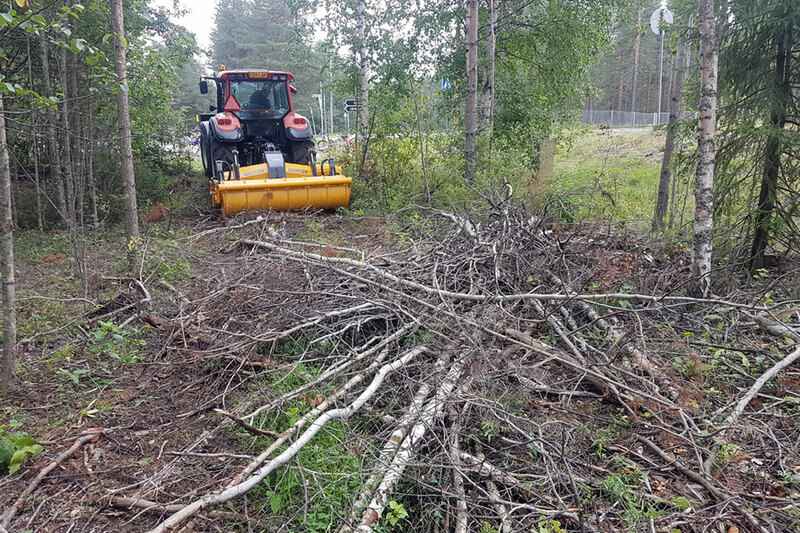 With several rotor options, and rotating screen, the MeriCrusher MJHS mulcher gives extremely fine results in all conditions. 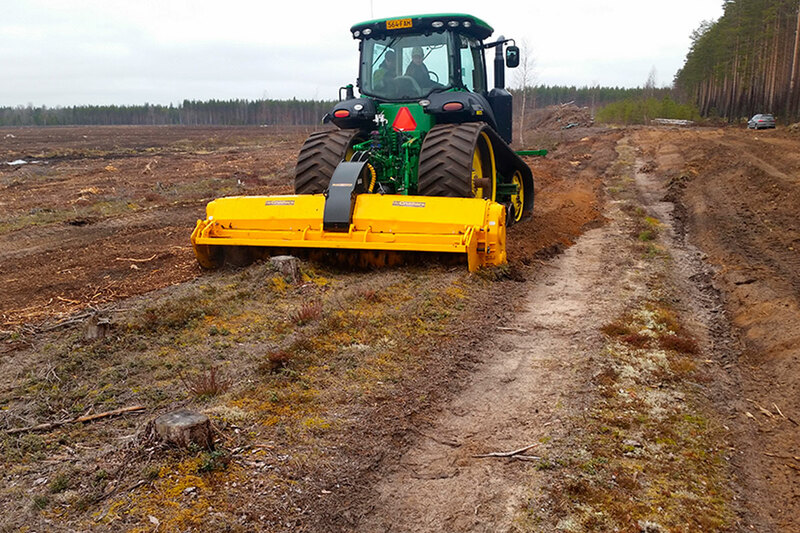 STB-rotor with Cost Effective carbide cutters for heavy soil and dense vegetation.